Netherlands Insurance Co. (W.I.) Limited is a general insurance Company registered to conduct insurance business in Grenada and Antigua. Originally established in August 1992 as a subsidiary of a Dutch Insurance Company, the company has since become wholly independent and presently boasts a majority of local shareholders. Netherlands currently serves the insurance needs of over 3,000 individuals, families and businesses in Grenada and Antigua and is well known for quick, efficient service and prompt settlement of claims. The Company is backed by a strong asset base, is well capitalized and has secure first class reinsurance through London, England. To be committed to high standards of excellence and establishing firm relationships with stakeholders through mutual trust and unmatched service. To provide a superior service that eclipses the pre-established expectations held by persons vested in the insurance industry. Products tailored to meet clients’ needs and are affordable, accessible and reliable. Quick and efficient service that meets or exceeds clients’ expectations and encourages referrals. Fostering professional relationships with clients that encourage renewal business through customer loyalty. Netherlands Insurance Headquarters is currently situated in Grenada at the Netherlands Building (Ground Floor) Grand Anse, St. George. 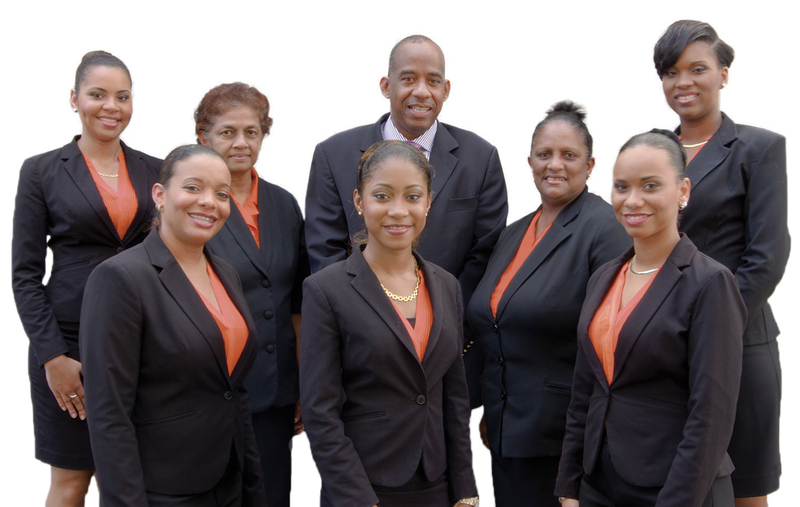 Netherlands Insurance operates in Antigua via the agency of Kenneth A. Gomez & Sons. It is located at Friars Hill Road, St. John’s. Netherlands Insurance is a Private Limited Company owned by its shareholders. Its activities are overseen by a board of directors consisting of Mr. Richard Strachan, Dr. Anselm La Touche, Mr. Kevin C. Gomez and Mrs. Merle Byer. Mr. Richard Strachan, the Company’s Managing Director, presides over day-to-day operations in Grenada while Mr. Kevin C. Gomez is the Agency Manager for the company in Antigua. Mr. Strachan, the Company’s managing director and one of its major shareholders, graduated from Howard University, Washington with a Bachelor’s degree in Business Administration (with honors) in Insurance and Actuarial Science. He has over 30 years of insurance experience in the Caribbean and the USA, specializing in insurance Company operation and reinsurance management. During his tenure as the Company’s managing director, Netherlands has experienced considerable growth in Grenada and Antigua. His performance as an exemplary leader and entrepreneur is recognized both locally and internationally and has resulted in his accumulation of many awards over the years including the “Business Leader of the Year” awarded to him by the Grenada Chamber of Commerce in 2015. Mr. Strachan has represented Grenada at a number of local and international conferences, seminars, symposiums and trade shows in tourism, and was a key negotiator for alliances with international airlines and travel trade. As a talented musician himself, Mr. Strachan’s passion for the performing arts has inspired him to make significant contributions towards its development in Grenada. He is an instrumental figure on the committee of the Pure Grenada Music Festival and is also well known for his philanthropic work and involvement in many other local activities and events. He is the recipient of numerous plaques and awards presented by promoters, schools and other institutions, in recognition of his charitable contributions. Mr. Gomez graduated with a Bachelor of Commerce Degree from St. Mary’s University in Canada with majors in Finance and Human Resource Management. While attending the university, he also completed several courses at the Insurance Institute of Canada. He began his insurance career at the leading Allstate Agent in Canada as an underwriter and team leader. Since then, he has become the Managing partner of Kenneth A Gomez and Sons (hereinafter referred to as KAG & S) in Antigua and more recently, a Director of Netherlands Insurance (as of 2015). His Company, KAG & S is well known in Antigua as one of the leading insurers in the industry. The Company acts as the chief agent for Netherlands Insurance in Antigua. Aside from his insurance experience, Mr. Gomez is engaged in Strategic Planning and Forecasting for the Antigua Market and holds the position of director for a number of Antigua based organizations including; Westrading Co. Ltd, Royal Palm Place Commercial Office/Retail Complex, Universal Leasing Ltd and Siboney 2016 Ltd (Boutique Hotel). 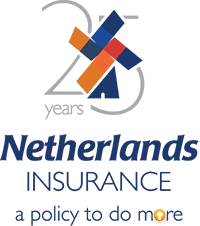 28th May 1992: Netherlands Insurance Registered in Grenada as Netherlands Insurance Co. (Grenada) Ltd.
2017: Netherlands Insurance 25th Anniversary, Launch of 24-Hour Roadside Assistance App and new logo.